Donald “Don” L. Sale 81 of Hillsboro passed away Feb. 2, 2019 at St John’s Hospital in Springfield. He was born Feb. 1, 1938 in Hillsboro IL to George and Ella (Engleman) Sale. He was a 1955 graduate of Nokomis High School. He was skilled and enjoyed wood working. He was a member of St. Paul’s Lutheran Church in Hillsboro. He was a US Army veteran of the Korean War. 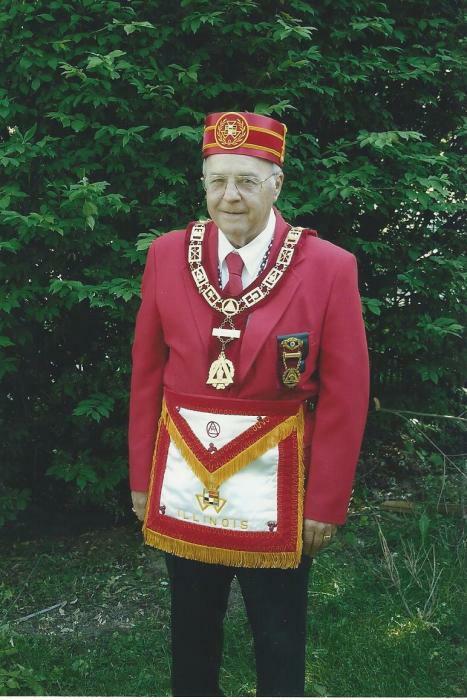 He was a member of Mt Moriah Lodge #51(Past Master), Donnellson Masonic Lodge (Past Master), Valley of Southern IL Scottish Rite, Ansar and Ainid Shrine, Royal Arch #197 (Past Grand High Priest for State of IL 2006-2007) Vandalia Council #28, York Rite College #33, Knight Mason Earl of Torrell, Herman Chapter of O.E.S., Greenville Lodge #245 (Past Master), Kershaw Hammer VFW post 1306. He married Betty Gardner and she preceded him in death in 2017, He married Cheryl J. Walters on December 25, 1992 and she survives. He is survived by one son Dale Sale of Tacoma WA and one daughter Sharon Rosenthal of St. Louis 4 grandchildren and one great grandchild one sister Georgia Sale of Springfield and several nieces and nephews. He was preceded in death by his parents and one sister Shelby Pavolka. Burial will be held at a later date at camp Butler National Cemetery in Springfield. Memorials can be directed to St. Jude and Shriners Hospital for Crippled Children.